The Sandhurst Joggers AGM will take place on Tuesday 5th March at 8pm. The venue is Edgbarrow Sports Centre, Grant Road, Crowthorne, RG45 7JL. All members are welcome and encouraged to attend, it’s YOUR club and it’s YOUR wishes and opinions that drive how it’s run. At the AGM, we elect the entire committee for the coming year. It’s always good to have new faces on the committee. Descriptions of the positions will follow by email and are on the website, but for the moment, just have a think about whether you’d like to stand, or encourage those you think should! We already know that the Secretary, Social, XC Captain and Thursday GM positions and one of the Events roles will be vacant. The snow of last weekend already a distant memory things were back to normal including a great SJ turnout at Bracknell parkrun; 16 of the 335 runners were members of our club. Jess Metcalfe completed her first run at the venue, Simon Tigg bagged himself a course record and Matt Jones was first member to finish as he claimed 9th place overall. Matt also took 1st in category while Patrick Wadsworth, Colin Carpenter and Teresa Milroy all claimed 2nd in their respective categories. Frimley Lodge parkrun celebrated its 9th birthday alongside our own Jim Haffey who wascelebrating his 50th parkrun. Congratulations to Jim and also all the members have been a big part of Frimley’s parkrun history. 547 runners turned up to celebrate. Janet Venables finished 1st in her category while Sarah Hyatt, Alurie Dutton and Max Woods all claimed category 2nds. Max was also the first member to finish. Rushmoor parkrun was also popular with 457 runners in attendance. Nick Metcalfe led the six SJs home. Nick also claimed first in the SM20-24 category. Dinton Pastures parkrun continues to be popular with members with two regulars joined by two first timers in Simon Whillis and Jane Bannister. More category second paces from Simon, Kate Parker and Alison Bone. With travel back on the agenda we saw lots of parkrun Tourism this week. Regulars John Tovell, Andy Summerskill, Yvette Glacken and Sharon Conquer ran at their regular venues Crane Park, Houghton Hall, Luton Wardown and Northampton. Locally Stuart Overhill and Lisa Hale were at Bedfont Lakes, Rob Jerett at Reading, Clive Rolfe at Alice Holt, Sharon Fields at Wycombe Rye while Sarah Alexander and Jon Green ran at Woodley. Furthest afield this week was Trish Monks at Fælledparken parkrun in Denmark. Ian Watson headed north and ran Pollok parkrun which was the first parkrun in Scotland. Plenty of SJs in action at Saturn Running‘s Harry Potter themed Philosopher’s Run. Michelle Wilson and Gareth Hopkins completed the half marathon, Susan Plumb, Angela Foker and Mark Foker completed 10 miles. 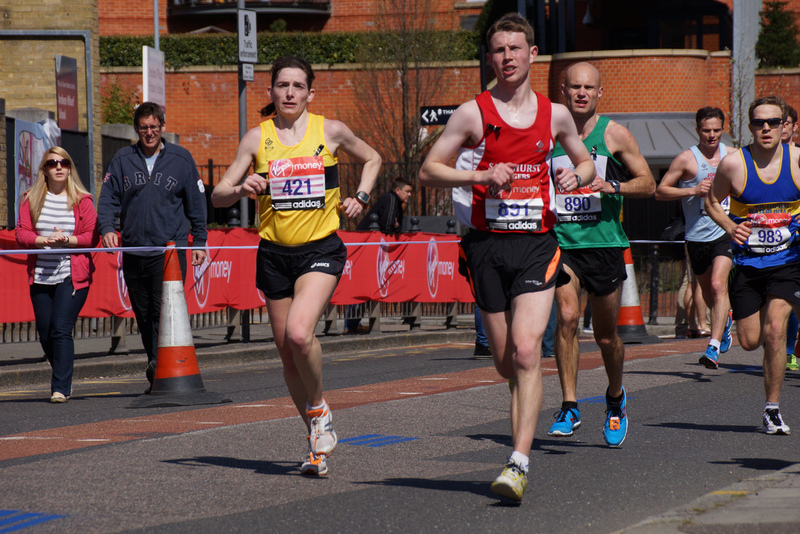 Nigel Evans had a busy weekend with a double header of marathons. Saturday saw him complete Phoenix Running’s One Run To Rule Them All marathon in 4:49:17. This also completed his 12 marathons in 12 months challenge. Nigel then went onto complete a second Phoenix event on Sunday at the Donut Dash where he completed 30 miles. Incredible powers of recovery and persistence as both events were run on the same Walton-on-Thames course. We had five members in action at the new Barnes Fitness event at Dinton Pastures; the Dinton X-Trail on a 5 miles course which featured some new unexplored areas of the parkrun including plenty of mud. Jane Crawford was first member to finish claiming 8th female and 4th in category. Alurie Dutton had a great run as she puts her injury behind her by winning her category. Richard Boese and Leon Hicks both completed the Punchbowl Marathon, demonstrating strong running on a 50km hilly course mainly sandwiched by the A31 and A3.